Breakfast at Tribeca’s is always a good idea! // French toast with banana and nutella. I am in heaven! 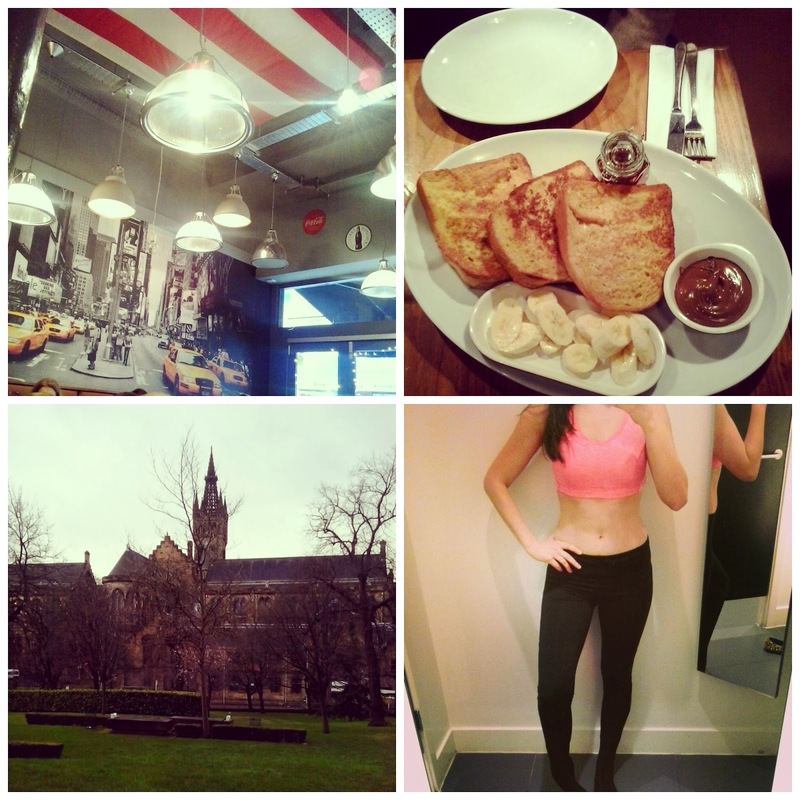 // Glasgow University during twilight // Sports gear shopping day! Yes, there is a turning point for all of us one day and that was mine! 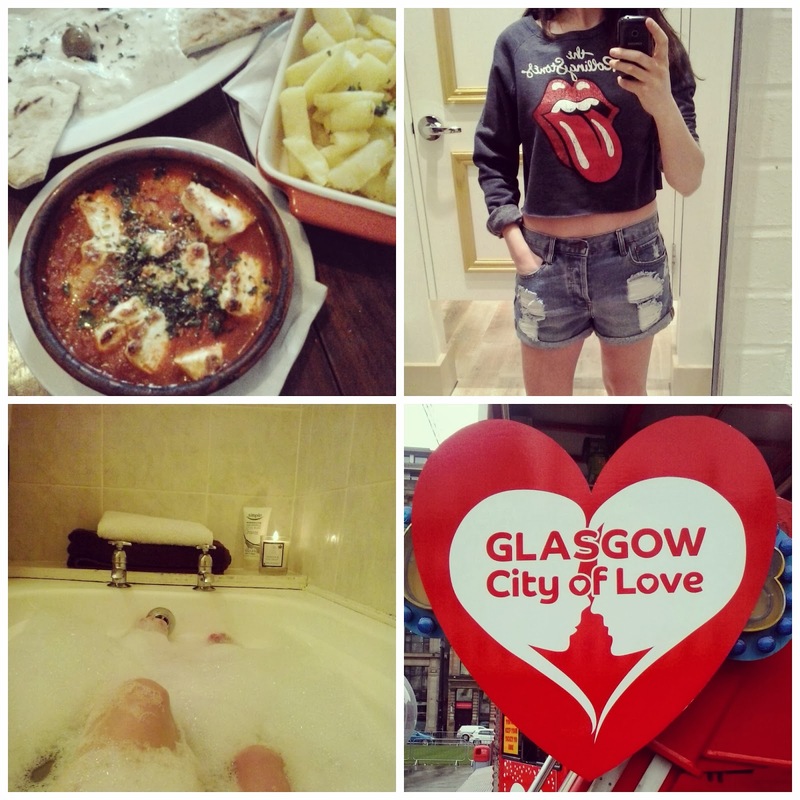 Anyhow, this past weekend I traveled to Glasgow to get some of my stuff from George’s place (believe it or not I still have a full walking closet at his house), and also to visit some of the places I love in this big city. Friday was a lovely sunny day. As per usual I woke up late and booked my last minute tickets for Glasgow, while strategically avoided going to the office (I am thankful everyday for my amazing boss). 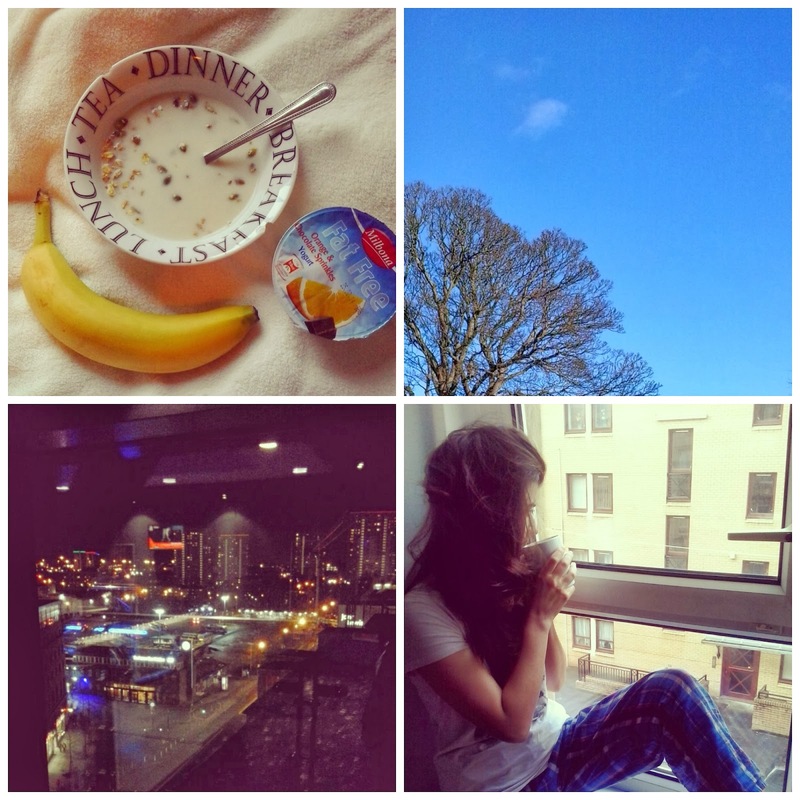 The sky was blue but by the time I arrived in Glasgow it had turned into a chocolate black colour and it wasnt even six in the afternoon! We decided to go watch a movie in the cinema and the American hustle was the best choice we could have ever done! Great costumes and scenario along with soundtracks, it was the perfect ending to my Friday night. …exhausted as I was I ended up in the bath, while listening to Chet Baker’s fabulous music, under the light of a vanilla&coconut Shearer candle. Sunday passed by very quickly and the only thing I managed to do is a bit of shopping at H&M (I am in need of some sports gear-ahem) and to eat at one of my favourite Greek restaurants, Elia. Content and happy, with a heavy luggage I got my way back home and while I am writing this I have to admit that my clothes are still in my luggage, as I cant seem to find more space in my wardrobe.